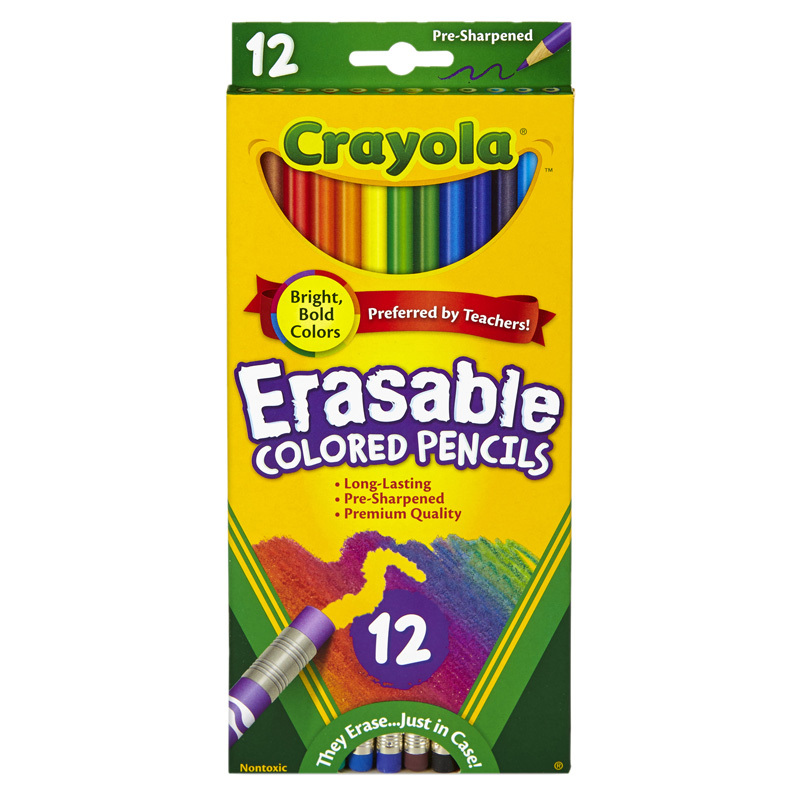 Crayola Erasable Colored Pencils make it easy to change drawings and fix mistakes. Now kids can complete picture-perfect homework assignments, maps, and reports in color—without having to start over. Erasable colored pencils are an indispensable tool at home and in the classroom. They are ideal for creating maps, completing art or science projects, and making signs and labels—and changing them. 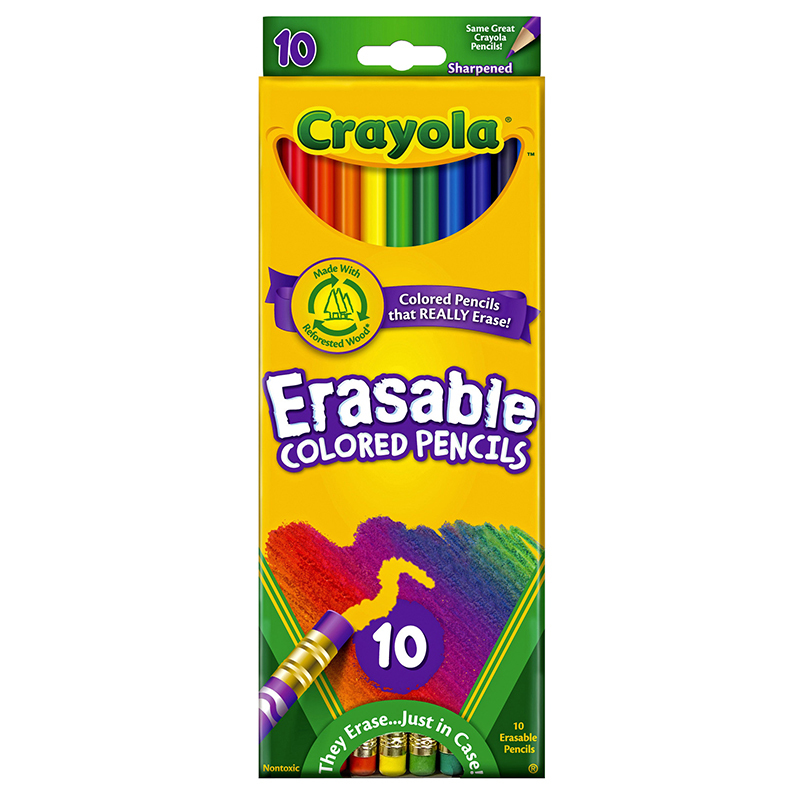 Crayola Erasable Colored Pencils are made with thick, soft lead, so they won't break easily under pressure. 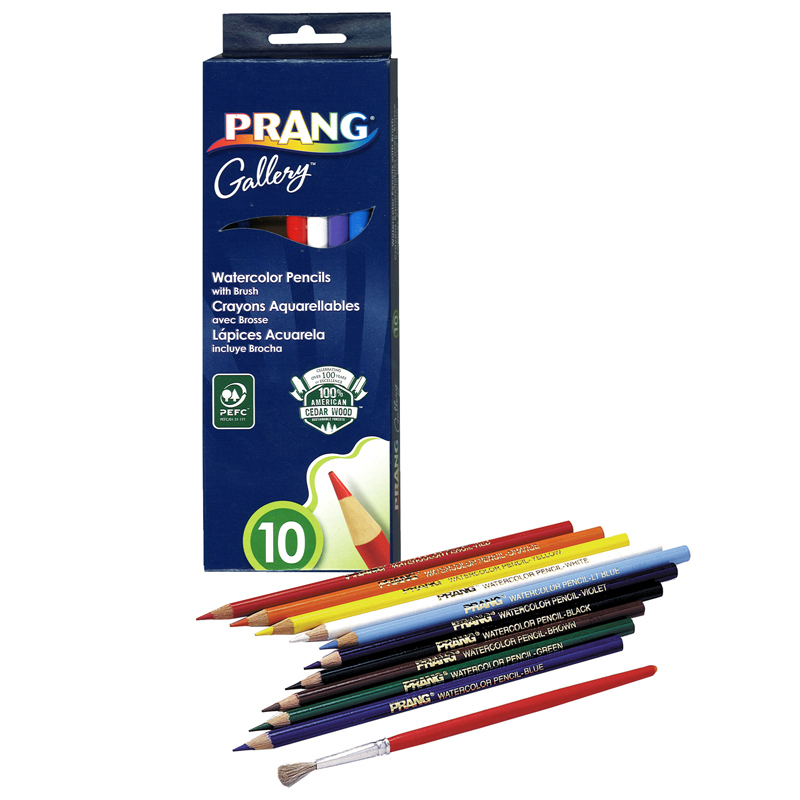 Kids will love to use these durable, vividly colored pencils. Small enough to fit in a book bag, this portable box holds a variety of colors. The smooth colors are perfect for color mixing and blending as well as for practicing more detailed techniques. Crayola Erasable Colored Pencils are created from reforested wood instead of wood from old-growth forests. For every tree used in the manufacturing of Crayola Colored Pencils, a new tree is planted. Each box includes 10 Crayola Erasable Colored Pencils. 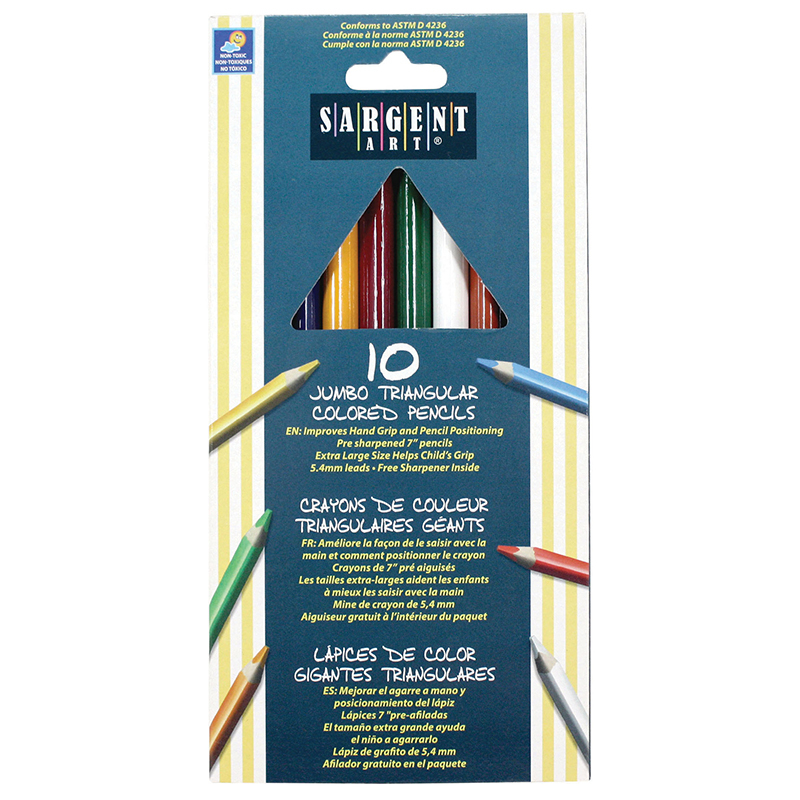 The Erasable Colored Pencils 10 Colorset can be found in our Colored Pencils product category within the Arts & Crafts.